Perhaps you are interested in buying a new piano and you want to read a Yamaha P45 review to know if this product is a good option for you. The Yamaha P45 offers a remarkable combination of highly simplified controls, authentic touch, and audio reproduction. It has 88 weighted keys, 10 voices and other features that are perfect for the needs of beginner piano students. The piano’s single-button operation makes it easy to change voices, configure the metronome and play demo sources. 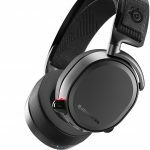 It uses Yamaha’s classic sound engine to deliver clear audio. Read this Yamaha P45 review and learn what you can get from this digital piano. The Yamaha P45 88-Key has basic, but accurate controls. One of these is the control for changing the voices. With this button, you can get your desired sound. 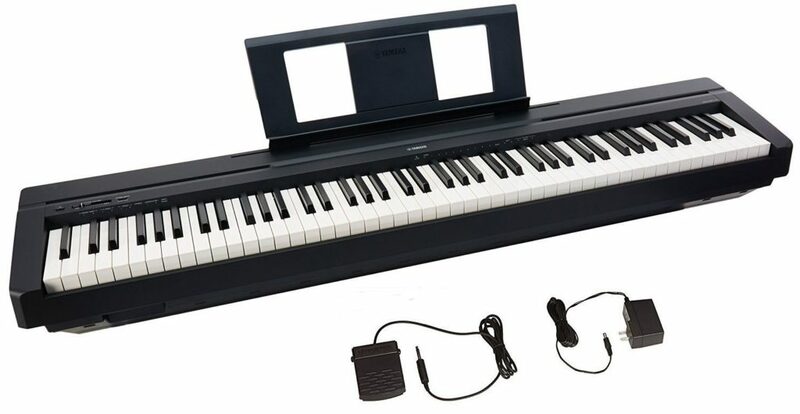 The digital piano is also equipped with connectivity options in the form of a USB port that is compatible with nearly all electronic units. 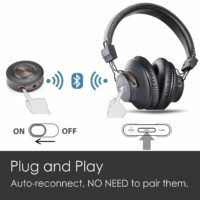 This means that you could plug in your laptop and listen to the sound of the piano with a set of earphones. The 88 keys are hammer weighted, so moving from one end of the key set to the other is easy. Combined with the keys’ favourite feel, you will enjoy the right blend of resistance and friction offered by the Yamaha P45. Practicing on the piano helps you build the right finger technique. The black keys are less slippery when you’re playing for long periods of time due to its matte finish. You will feel like you are playing an authentic grand piano. The Yamaha P45 doesn’t produce clicking or thudding sounds when you press the keys at a fast pace. Even if your kids are using the piano, you don’t need to worry that it would fall apart. The P45 also comes with a music sheet holder where you can put your music sheets so that you can play the piano to your heart’s content. The music sheet holder sits right in front of you thanks to the organized control panel. This makes it easier to read songs and play the piano without squinting. The Yamaha P45 has MIDI recordings of ten musical instruments that include different kinds of pianos and accompanying instruments. The ten musical instruments include some of the finest grand piano recordings produced by Yamaha. Sound quality differs between the dedicated speaker and inbuilt speakers. 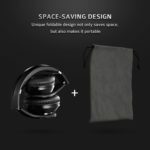 The inbuilt speakers are of average quality, so they wouldn’t provide a nice sound in a large room without fading or distorting. The Yamaha P45 performs best when dedicated speakers or earphones are used. 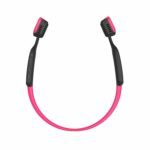 It can produce wonderful sounds through headphones without disturbing other people. The P45’s 64-note polyphony means that it can play 64 notes simultaneously. Since it supports 64 notes, you can play any chords and duets you want. The sustain pedal can be used heavily without affecting the notes. The digital piano is also equipped with Advanced Wave Memory (AWM) Stereo Sampling that creates a richer, more spacious and deeper sound. Thanks to this feature, the piano creates realistic sounding instruments in stereo. The Yamaha P45 88-Key also has a dual mode that lets you play with two voices at the same time. For instance, you can play piano with one hand and use your other hand to play strings. You can experiment and have all the fun you want. Choosing from four kinds of reverb allows you to change the sound. You can also pick from four touch response levels. The Yamaha P45 offers preset and demo songs that you can play along with. You can play around with a transpose function or tune calibration functions. There is also a metronome that allows you to keep track of time. The USB port allows you to connect the digital piano to various devices for different applications. The build quality of the Yamaha P45 ensures that the keys and the rest of the piano would not collect dirt and dust. The top part of the piano is non-glossy to avoid repeated scratching. The Yamaha P45 also comes with a wide range of accessories. If you want to use the basic unit, you can place it on a desk and attach the music stand. Then, all you need to do is to plug in the adapter to start using the unit. The Yamaha P45 88-Key is also shipped with a user manual, sustain pedal and PA-150B AC power adaptor. The 20-page manual illustrates warnings, functions as well as specifications. If you don’t understand the piano’s control panel, you can read the manual to understand its basic functionalities. The power adaptor is not very expensive, but you need to be careful as the cable is extremely fragile making it prone to sudden breakage. The FC-5 sustain pedal (footswitch-style) is very easy to use, so you will not have any problem regarding its function. The music stand is removable and although it is made of plastic, it is still very elegant to look at. You can change the piano’s settings with one press of a button. Press the Grand Piano/Function to change the voice, play present songs or set your preferred metronome. 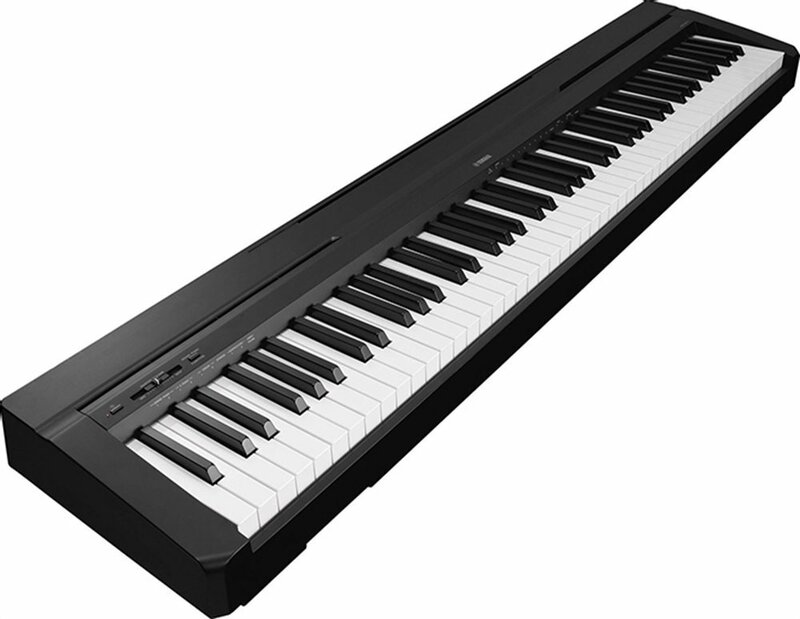 The Yamaha P45 88-Key has a sturdy construction and well-built keys. The nature and form of the piano also make it easy to transport. Since the keys have exceptional traction and are resistant to dust and dirt, you don’t need to worry about cleaning the piano. The USB port allows you to connect laptops and other electronic accessories to the P-45. The ten authentic voices allow for basic music mixing and quality musical reproductions. The Yamaha P45 is perfect for beginners, returning pianists, and performing musicians. This unit is also perfect for those who are on a budget but want a high-quality piano that they can use. The built-in speakers are not enough for large rooms. The foot pedal is also quite flimsy. The weight on the keys isn’t ideal for advanced pianists. Reading this Yamaha P45 review might have given you an idea about how good this piano is. While the piano may not be good enough for advanced players, it still offers a wide range of sounds and various connectivity options that allow it to offset its negative features. 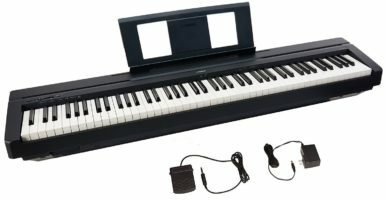 The Yamaha P45 is a good keyboard with simple controls, making it a great option for beginners and those who want to continue practicing their finger techniques on a basic keyboard that provides high quality sounds at a reasonable price.